Aktor Concessions, a fully-owned subsidiary of the Ellaktor group, has increased its stakes in Attiki Odos and Attika Diodia to 65.74 percent from 59.249 percent following respective 6.5 percent acquisitions in both for a total amount of 37.5 million euros, the company has announced in a statement. Attiki Odos is the company which undertook, via a Concessions Agreement with the Greek State, the study, construction, financing, operation and maintenance of the motorway of the same name, while Attika Diodia controls 80 percent of the company Attikes Diadromes, responsible for the operation and maintenance of the road. Commenting on the acquisition, Anastassios Kallitsantsis, the CEO of Ellaktor, noted: “The increase of our participation in Attiki Odos. and in Attika Diodia is fully aligned with the new strategy of Ellaktor, which foresees that we maintain our leading position in concessions and through it we create long-term shareholder value. It is an investment with extremely important business, strategic and financial benefits for Ellaktor, both on a short-term as well as on mid-term level. Attiki Odos is the most representative footprint of our Group, since, on the one hand, it is a creation of our construction subsidiary Aktor and on the other hand, it is a distinctive concessions project of our subsidiary Aktor Concessions. Seventeen years after the inauguration of the first part of the road, Attiki Odos maintains intact its construction supremacy as well as its undeniable level of services provided, elements which constitute Attiki Odos as one of the top infrastructure projects in Greece, the most crucial road in Athens and the standard choice for the daily commutes of hundreds of thousands of drivers”. The acquired 6.5% of the shares of Attiki Odos and Attika Diodia is the proportionate stake of Aktor Concessions out of a 9.88% total held by Piraeus Bank in both companies and for the sale of which Piraeus Bank organized an international tender. Following a relevant binding financial offer, Piraeus Bank – as obliged by the Shareholders Agreements of both companies – addressed the existing shareholders of Attiki Odos and Attika Diodia, who maintain a right of first refusal, and Aktor Concessions exercised this right. Aktor Concessions is the largest Greek company in the sector of concessions and the first one to undertake concessions contracts in the ‘90s. The company has valuable technical expertise and wide experience in the whole spectrum of activities related to concessions, such as the study, funding, construction, exploitation, maintenance and operations. Furthermore, the company leverages significant strategic partnerships in concession projects with companies of global reach and status. 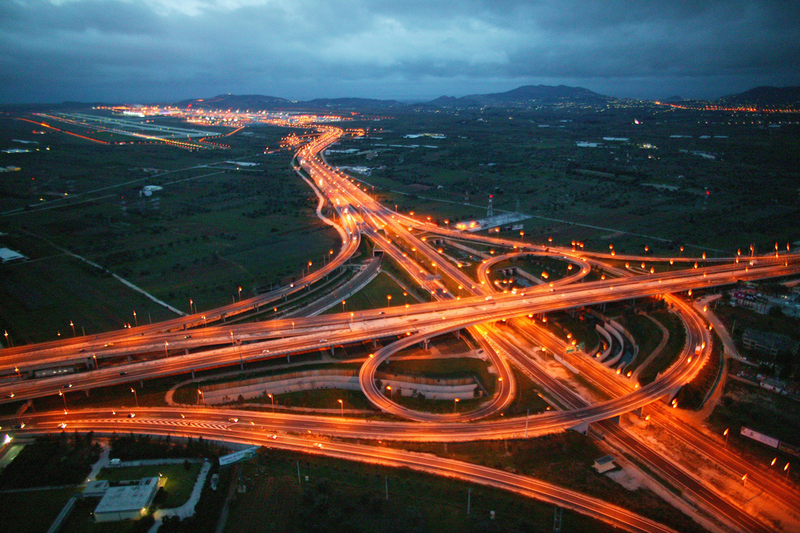 The portfolio of Aktor Concessions includes the main motorways in Greece. The company owns the majority stake in Attiki Odos and in Moreas Motorway, while it also holds significant stakes in Olympia Odos, the Rio-Antirrio Bridge and the Aegean Motorway. Attiki Odos is a modern motorway that extends along 70 km and crosses the Attica Prefecture, or wider Athens area, connecting 28 municipalities and facilitating millions of people. It is an urban motorway with two separate directional carriageways, each consisting of 3 lanes and an emergency lane. The suburban railway of Athens has been constructed in the central reservation of the motorway. Attiki Odos constitutes the backbone connecting the main means of transport and key infrastructures in the Attica region: motorways (connection with the National Road network), airports (connection with the Athens International Airport “Eleftherios Venizelos”), railways (connection with metro and suburban railway) and ports (access to the ports of Lavrion and Rafina).